PERTH mother-of-three Mara Harvey was allegedly murdered by her husband soon after finishing a night-shift at Coles. 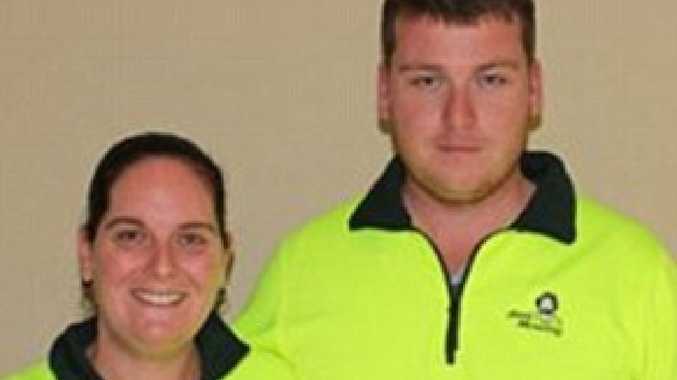 Police allege Ms Harvey spent her final hours stocking shelves at her local supermarket before being killed when she got home about 11pm, according to Fairfax. 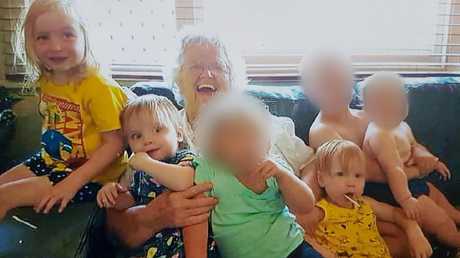 Mr Harvey allegedly murdered his wife, three-year-old daughter Charlotte, and two-year-old twins Alice and Beatrix on September 3, before killing his wife's mother Beverley Quinn, 73, the next day when she turned up at the house. 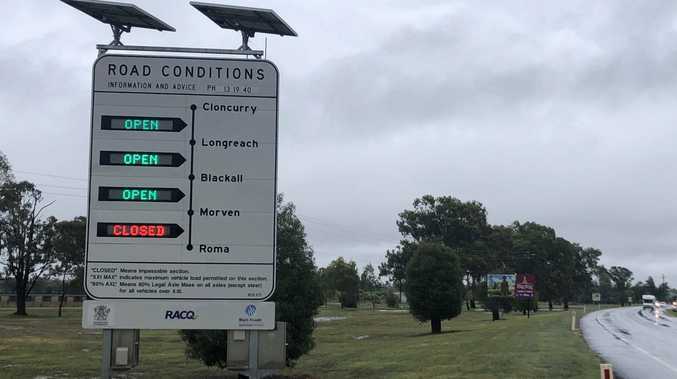 Police say Mr Harvey, who ran a Jim's Mowing franchise, stayed in the house for days before travelling about 1500km north, and then turned himself in. Jim's Group managing director Jim Penman said Harvey had been a respected and well-liked franchisee. "(He) had given no hint of financial or emotional problems in the many contacts we had with him over the past few months," Mr Penman said on Tuesday. "The only suggestion of trouble was his failure on several occasions to respond to phone calls." Beverley Quinn with her grandchildren (from left to right): Charlotte, Beatrix and Alice. Mr Penman said Jim's Group would consider tightening requirements for franchisees to keep in regular contact to prevent something similar happening again. The bodies have been removed from the house but mourners have left toys, notes and flowers outside. Mr Harvey faced court this week charged with five counts of murder. He appeared on video link from Karratha Magistrates Court wearing a T-shirt, jeans and no shoes and has been remanded in custody. The family of the deceased released a statement via police last night saying they were heartbroken and describing Mrs Harvey as a loving mum. "There are no words to explain the emptiness and loss that we are feeling," her sister Taryn said. "This world is a sadder place with the loss of these five beautiful people but heaven has gained five new angels. "Charlotte was an energetic, bubbly confident little girl who loved people and loved socialising. Alice was outgoing, adventurous and cheeky, while Beatrix was at times a little bit more quiet but gave the biggest hugs." She also described their mother Beverley as a kind hearted, caring mother and grandmother who was always there for her family. Distraught neighbours have spoken about the family and how they hadn't been seen in recent days. The street, normally filled with the laughter of the three girls, has been eerily quiet. 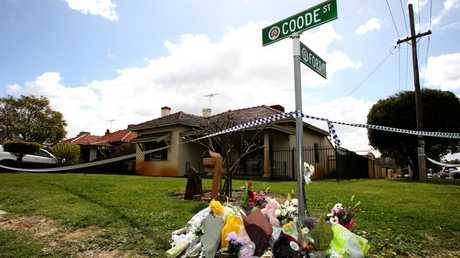 Nearby neighbour Doug Roberston told news.com.au he often heard the girls playing. "Who would want to hurt little children?" Mr Robertson said. "I just don't understand it." "I didn't see the kids but I could hear them playing. I just can't believe this has happened." It is the third family mass-murder in WA in four months, representing 15 of 23 domestic violence-related deaths in the state this year. 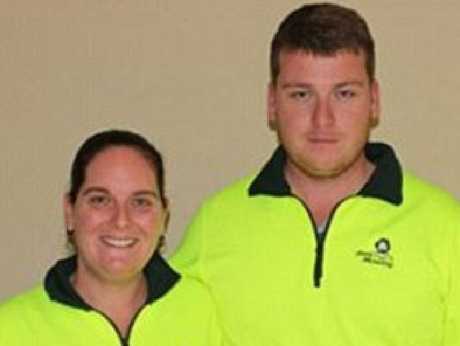 Three adults and four children were fatally shot in Osmington in regional WA in May, while a mother and two of her children were killed in Ellenbrook, in Perth's northeast, in July. Federal Minister for Women Kelly O'Dwyer became emotional in parliament on Tuesday while discussing the Bedford deaths. "Any attempt to describe the horror of this tragedy that ended the lives of three small children, the children's mother and their grandmother is futile. It is incomprehensible," she said. "Sadly, it marks the third terrible killing, a family killing, in WA this year. It is clear that family and domestic violence remains far too prevalent." She stressed that both sides of parliament at every level must do more to tackle the issue. WA Premier Mark McGowan has urged anyone with mental health or domestic violence concerns to seek help.